Are Sarah Fergie Ferguson and Prince Andrew back together? No, Sarah Ferguson and Prince Andrew aren't back together, thanks for asking. 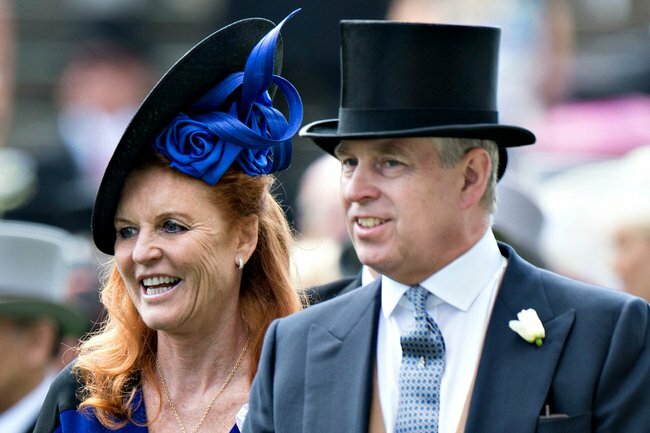 The rumours surrounding Prince Andrew and Sarah Ferguson’s divorce have been rife for decades. Since their separation in 1996, the Duke and Duchess of York have remained famously close with the pair even choosing to continue living together. Earlier this week, Fergie joined Prince Andrew on an official royal trip, leading royal fans to question whether the former royal couple could be back together. Although Fergie has been seen in public with Prince Andrew and their two daughters Princess Eugenie and Princess Beatrice at non-working events like the Royal Ascot, the trip to Bahrain was the first time Fergie had joined her former husband on a royal engagement in 25 years. Prince Andrew was also joined on the trip by Princess Beatrice and her new boyfriend, Edoardo Mapelli Mozzi. But while ITV reporter Chris Ship insisted the couple are “unofficially back on”, a spokesperson for Fergie has denied the claims. “The Duke and Duchess of York continue to be good friends and nothing has changed in their relationship,” a representative told The Sun. In an interview with the Daily Mail late last year, the 59-year-old described her relationship with her ex-husband as “the happiest divorced couple in the world”. While the answer to whether they would remarry the Duke of York seemed to be “no”, she appeared to hint that there may still be remnants of romance between the pair. “The way we are is our fairytale,” she said. Fergie went on to describe Andrew as ‘the best man she knows’. “We’re so happy with the way we are right now,” she said. The question we all have about Prince Andrew and Fergie has finally been answered. The heartbreaking truth behind Sarah Ferguson and Prince Andrew’s divorce. The unusual living arrangement of Fergie and Prince Andrew, 22 years after divorcing.